Every afternoon, this Four-O’Clock opens a flush of delicate flowers to entice hawk moths, hummingbirds, and butterflies to sip its nectar, and bees to collect its pollen. 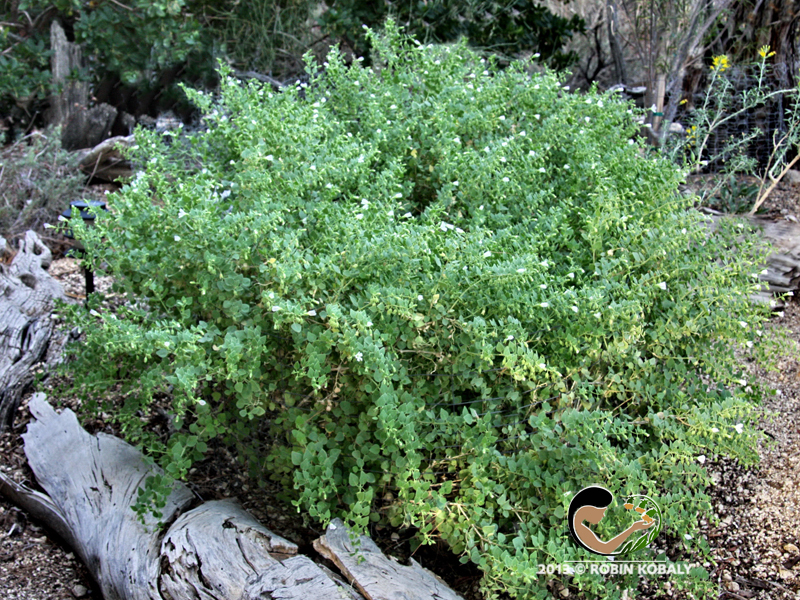 Desert Four-O’Clock is a fast-growing, mounded, evergreen sub-shrub or herb. 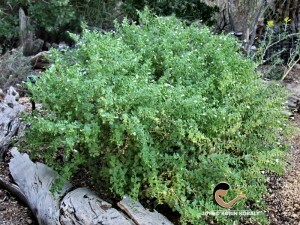 Dark green leaves and branches have soft, glandular hair, and the whole plant feels succulent, almost wet to the touch. The stems branch to form “wishbones”, giving it one of its names, Wishbone Bush. Its dainty white or pale pink flowers open in late afternoon and close early the next morning (unless the sky is overcast). Hummingbirds, hawk moths, butterflies, and other beneficial insects and pollinators sip the flower nectar, and birds feed on the seeds. Stimulate new growth by pruning hard every 2-3 years after flowering. 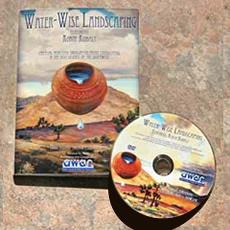 Desert Four-O’Clock, with its mounding, spilling habit, can be used in a dry border, dry wash, on slopes, in a decorative pot, or in rock or xeriscape gardens.